With lots of wild life right outside our own front door, what cat wouldn't love to stay in our exclusive Window Condos. These condos allow hours of sun bathing and bird watching which would tickle any cats fancy. To provide the most comfortable experience for your cat our kitty condos are tucked away in their own air conditioned private wing of our building. This allows for a nice, quiet, stress free visit any cat would enjoy. Our brand NEW Mason Company Cat Condos provide tempered glass doors for added light and solid walls that allow for the most private experience that most cat love. Our kitty condos are 2x4x6 feet in size and include a covered toiletry area, multiple climbing perches, and lots of fun toys to play with. For families with more then 3 guests our condos can be joined together so they will never have to miss their brothers or sisters. A bed time treat is given to every cat right before bedtime! A room service menu is available for our guests that would like an even more personal experience. Also each guest is allowed to have additional play time outside of their condo daily at no extra charge. Because our exotic friends are most comfortable in their own home and tend to have extra needs, we do ask that you bring any housing that they may stay in while visiting Paws, Wings & Things Kennel. 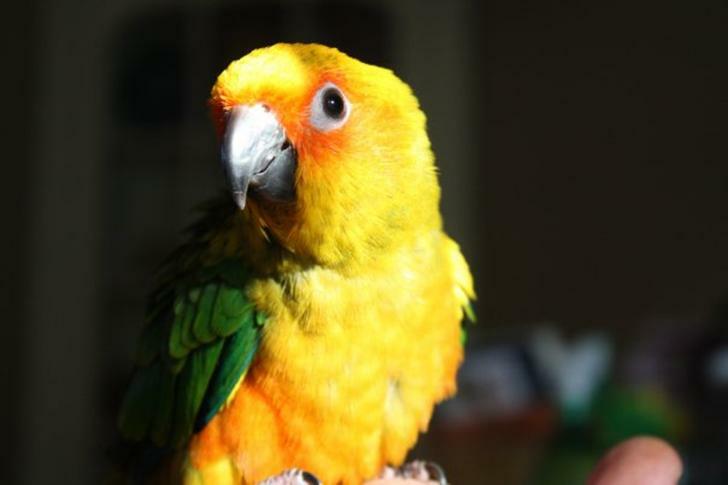 We do offer one exotic cage space for exotics that are unable to bring housing with them. This does mean that space is limited so please contact us early if use of this cage is needed so we have room for your exotic friends! All dogs must have up to date Rabies, Distemper, and Canine Cough vaccines. Cats must have up to date Rabies and Distemper. Boarding is a seasonal business and we need to optimize our run usage during peak times. 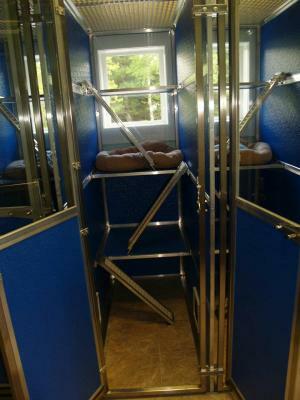 Some kennels do this by overbooking and then placing "extra pets" in crates. We do not believe in placing animals in crates unless a owner has asked that they be put in one at night time. We do not feel it is fair to your pets or to you to place them in a crate if it is not requested. Once our runs are full, we start a waiting list. When a cancellation is received, we will call the people on the waiting list to offer them the space for the requested dates. In order for this procedure to work, it is required that people cancel reservations in a timely manner. It is our policy that reservations must be canceled at least 72 hours in advance during peak or holiday periods, or 24 hours notice for non-peak periods, or you will be billed for the dates and runs you reserved. This amount of time is necessary in order to fill the run that has been reserved. Peak and Holiday periods are posted at the kennel or you can call and ask what they are. Thank you for all of your understanding and cooperation! All prices and periods are subject to change at any time without notice. There is an additional fee of $17 for dogs staying after 12 noon on the day of check out. 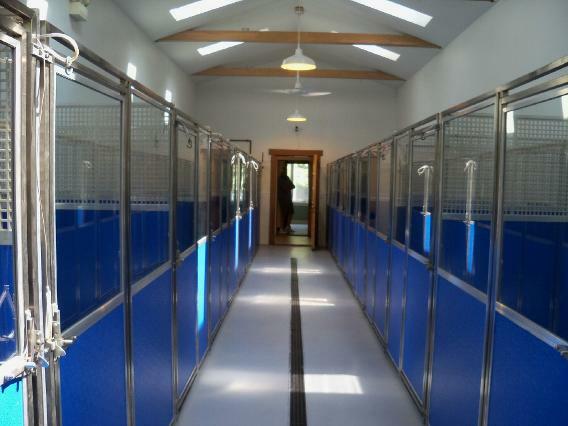 Our updated boarding facility is monitored 24-hours a day for Security, Fire and Flood, as well as a top of the line camera system to watch the dogs during the day in all play areas and dog kennel. Here at Paws Wings & Things we strive for the best care possible for your animal! 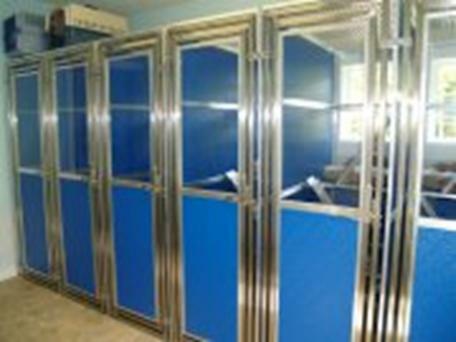 Each dog or family of dogs gets to stay in their own exclusive Mason kennel. 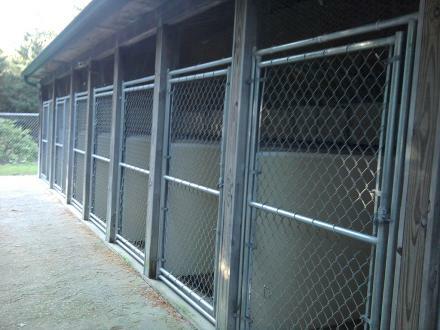 With their solid walls, tempered glass doors, and radiant heat flooring to keep our guests warm in the winter and cool in the summer will make any dog feel like they are staying at five star resort. A bedtime treat is given every night before bedtime to every dog. A room service menu is also available to offer an even more personal experience. Each guest or family of guests has the option to stay on the community outside run of our building which allows play time with other dogs or in the private outside run of our building which allows for a more restful and relaxed visit while staying here at Paws, Wings & Things Kennel. Group play and community outruns are available to all dogs that are spayed or neutered and enjoy the company of friends at no extra charge. Boarding is charged by the night and check out time is 12 noon. All guests that stay 4 nights or longer will receive a complimentary bath at no extra charge so they go home smelling and feeling great! NEW!!! 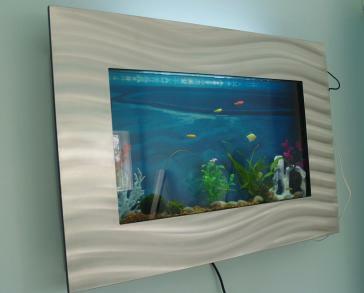 WALL MOUNT FISH TANK IN OUR CAT ROOM FOR ALL OUR GUESTS TO ENJOY!